The De Beers Yellow is a 234.65 carat Fancy Yellow cushion cut diamond. 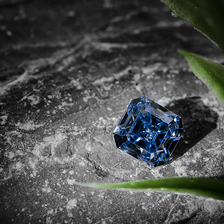 The De Beers diamond gets its name from the mine where the diamond was discovered in 1888, the De Beers mine, one of the two mines that were dug initially on the farm belonging to Nicolas and Diederick de Beer, near Kimberley, after diamonds were discovered in this farm in the mid-1860s. Shortly after the founding of De Beers Consolidated Mines in 1888, a light-yellow diamond weighing 439.86 carats was recovered from the De Beers mine. Over 200 carats of rough were removed from the stone to create a beautiful light-yellow, cushion-cut diamond. At 234.65 carats, the De Beers remains the seventh largest polished diamond in the world. The De Beers Yellow Diamond was displayed in Paris, and later purchased by the Maharaja of Patiala. In 1928 the Maharaja of Patiala had the now famous jeweler, Cartier, set the diamond as the centerpiece of the Patiala Necklace. The piece was sold two years later. The next time the necklace was seen was in 1998, in a fine jewelry store in London. However, all of the large stones had been removed from the necklace over the years, including the 234.65 carat De Beers Diamond. Cartier actually purchased this necklace and attempted to restore it back to how it was previously, but hasn’t been successful in recreating an exact replica. The large stones used other than the De Beers Diamond yellow diamond ranged in sizes between 18 to 73 carats. Hence, finding the right pieces to use isn’t so easy. 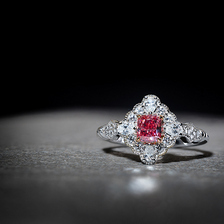 Until those stones are sourced, Cartier used different types of gemstones as well as of Cubic Zirconia stones to recreate one of the most spectacular pieces of jewelry that existed. 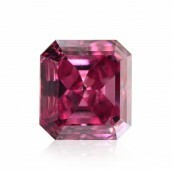 The bigger the diamond is, the more difficult it will be for the diamond cutter to maximize the color of the diamond. 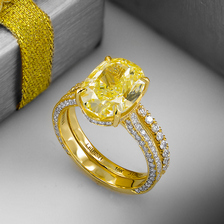 The De Beers Yellow is classified as a Fancy Yellow, which is recognized as quite a strong color in the world of colors. Although Yellow is the most popular of natural fancy color diamonds, any diamonds of this size are far and few.